The first thing to do is to stir the baking soda in the yogurt. Next is to pour the extra virgin olive oil into large mixing bowl. After that,add the peeled and chopped ripe banana,chopped dried apricots,fresh whole egg,Greek yogurt,sea salt and cinnamon powder. You can mash everything with a fork by hand,but a lot easier is to use hand blender for that. Add the whole wheat flour to the mixture and mix well. 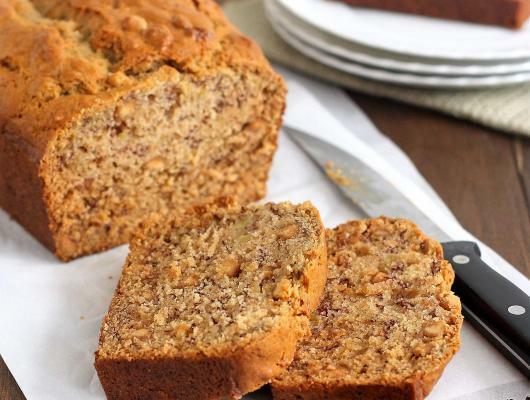 Grease a loaf pan or cake form with some oil or butter. Pour the bread mixture into the loaf pan and put it in the oven. Bake it for about 20 minutes,after that,reduce the heat to 160 C degrees and bake for additional 10 minutes. After baking,remove from the oven,set aside to cool down a little bit,slice and serve with your favorite toppings. 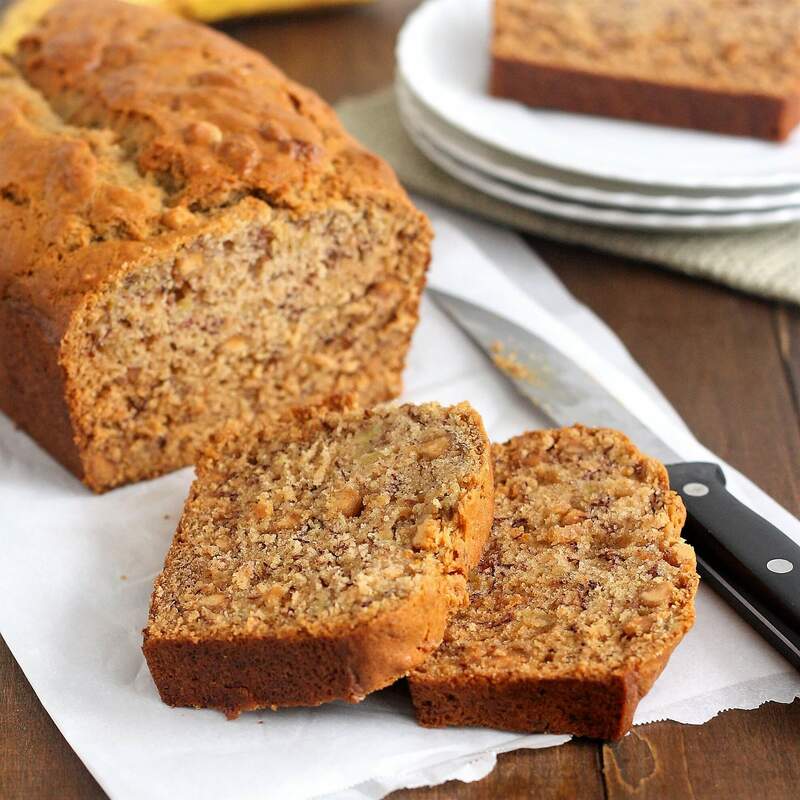 Banana bread is a type of bread made from mashed,ripe and yummy bananas.It has an amazing sweet taste and flavor.Which everyone love.And enjoy.Especially in the Unites States.There are so many different variations and recipes for banana bread.Some of them are banana raisin bread,banana nut bread which include nuts like almonds,hazelnuts,cashews and others,banana chocolate chip bread made with chocolate chips and banana bread muffins which are also really good.Really,really much recipes for just one thing.It is amazing.